A. Well since it's summer right now, I'm working in a summer camp. Which is why I haven't really got time to read. But STILL, I read every chance I get. But if I'm not working and not slightly reading, I'll be sleeping, because it's EXHAUSTING dealing with little kids. Q. How/Where do you get your books? Do you buy them or do you go to the library? Is there a certain website you use like paperbackswap? A. Most of the time I go to the library. A LOT of libraries. Everywhere I see a library I just have to check the books out. Sometimes when I'm at the mall, I like hitting Chapters, and I usually hit the on sale books first. Haha. (I'm not sure if Chapters is in America, but if it is, I'd love to know!). I could just imagine. I take care of my 9 year old brother and he is a hand full. Hi, new follower stopping by! Great answers! Happy Friday and check out my blog hops post on my blog! New follower and hopping through. Hope to see you at my own blog. New follower here :) Found you on Follow Friday! If you'd like to visit me back, my own FF post is here: http://skyink.net/?p=2363 Hope you have a great day! Chapters is a cute name for a book shop. I live in Maryland and we don't have one here (actually i never heard of it until now). Happy Friday! Oh, it's very exhausting dealing with little kids, but then it's always fun too! Happy follow Friday! :D My answer can be found here. Kids are handful especially at summer camps because they feed off of each others energy! Hi! Just stopping by. 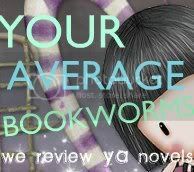 Following you from Follow My Book Blog Friday Blog Hop. Would love a visit and a follow back on my blog: http://blog.writerslairbooks.com. Thanks! Nice to meet you! Hopping through. Chapters is such a good name for a bookstore. I wish they had them here. But I mostly spend my time in libraries, like you.